My laundry room isnt just for laundry. 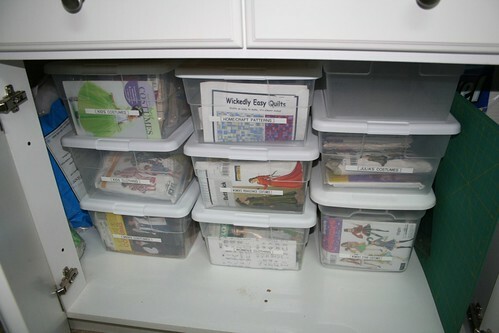 It is the only storage in the entire downstairs for one thing. Where our fabulous hall closet should be is actually the basement stairs. 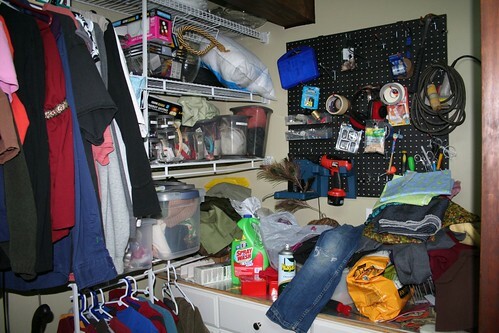 We should have remedied that in our house plan, but who would have thought we would have so much junk?! 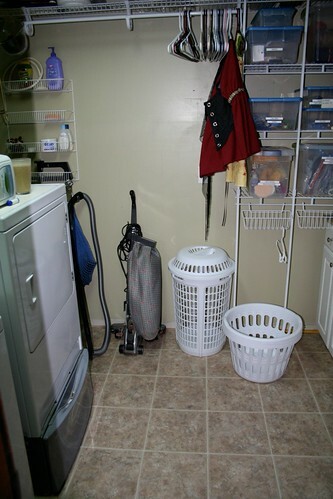 So this "laundry room" is actually that as well as a craft/sewing room and a storage closet and a "we are too lazy to carry this to the basement and I need it out of the living room" room. 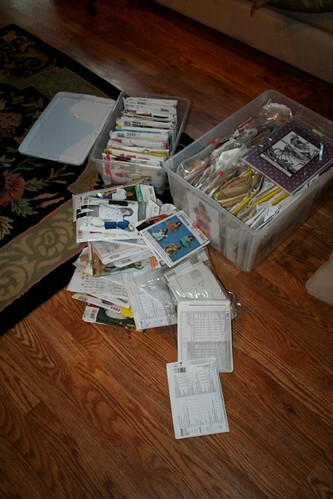 One day I will have a basement sewing room....not today. So, this is how this room started. I share this with you why? Dont ask me...stupidity obviously. The rest of my house doesnt look like this. Not today anyway. If you click on any of these pictures, they have "notes". Yes, I know. It is gross. 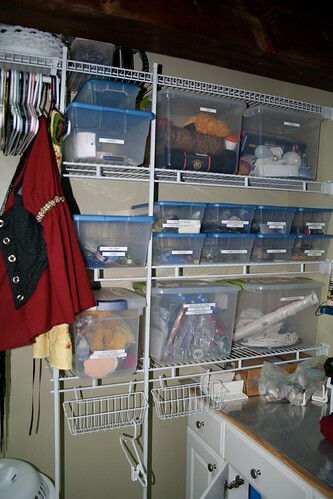 The biggest issue here was the sheer amount of sewing stuff that I had crammed in (and overflowing from) way too small plastic containers that I had leftover when my kitchen went anti-plastic. That is another story. 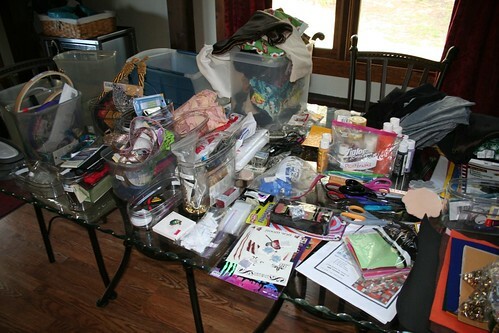 So, this is the contents of the shelves, spread out on my kitchen table. Organizing this was a chore. I have the weirdest stuff. At the bottom there is a pile of fake tattoos. We like Halloween, what can i say? This is the patterns now. They took over the entire cabinet, but at least they are categorized now so I can find something without going through ALL of them. This is the shelves. All labeled because NOTHING makes me as happy as a label maker. And look, it's the floor. Ahhh, much better. Appropriate plastic containers are GOOD!! Bravo. You wanna come to NY and set me up with some of those containers?